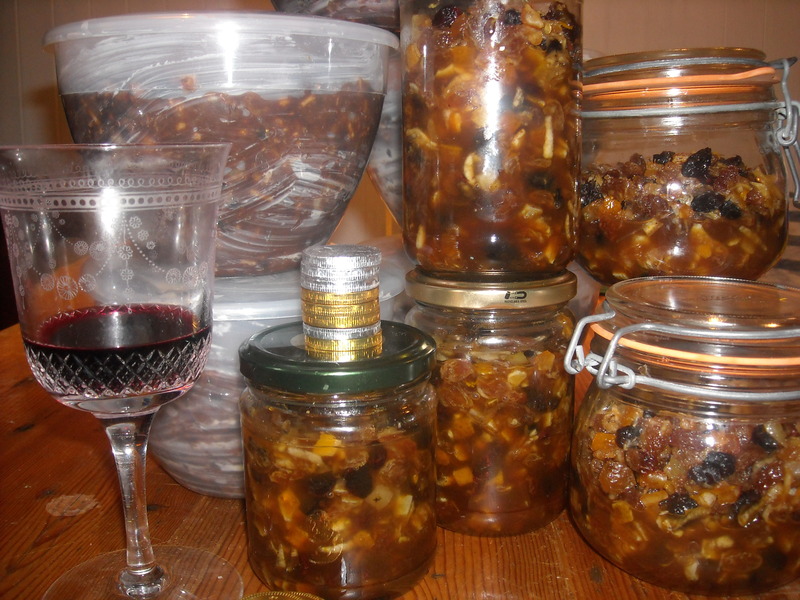 This entry was posted in Christmas and tagged apples, brandy, Christmas, Christmas pudding, food, La Culinari, metaxa, mincemeat, raki, rum. Bookmark the permalink. 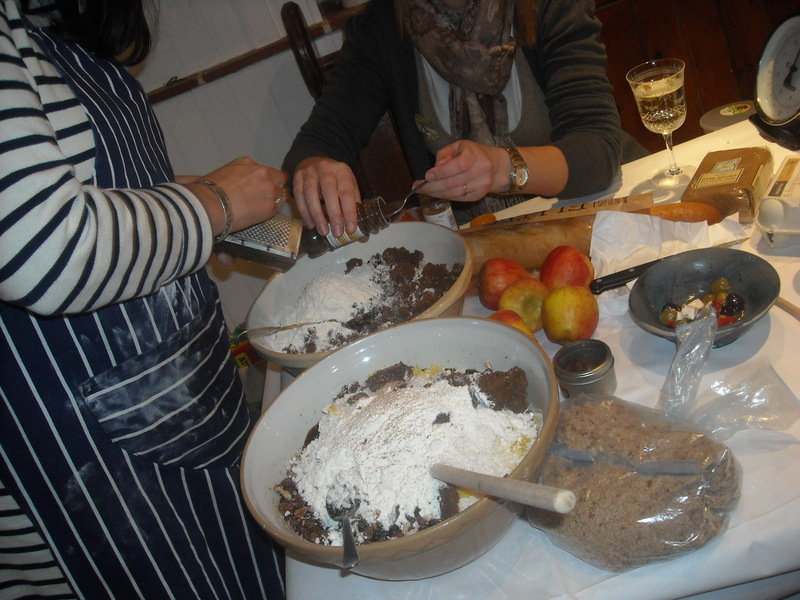 Tell you what would be best…using the quantities in our recipe, make 2 puds. Eat one on the day you make it – it tastes extra good when it’s not even Christmas yet – and keep the other one in the fridge til Christmas day. If you don’t finish either, you can fridge the leftover and reheat the next day in slices fried in butter, naughty but nice. 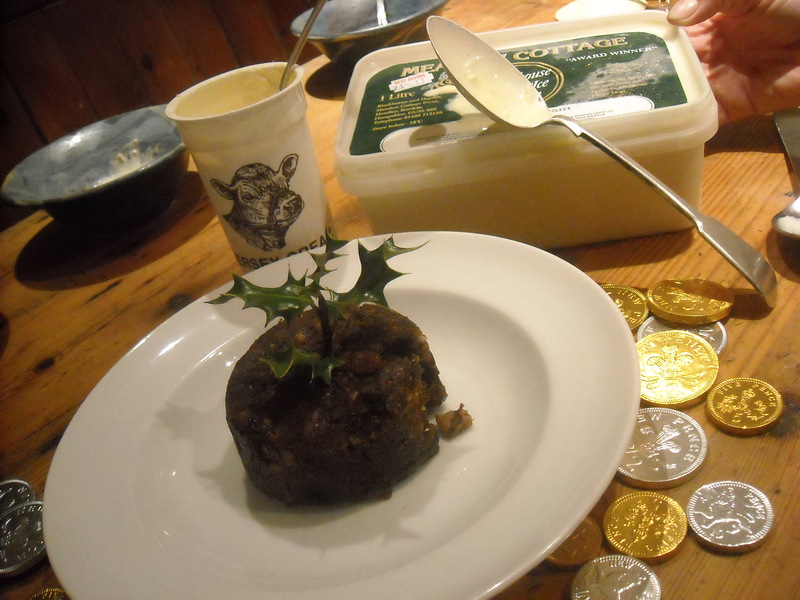 Ours were delicious with the cream and icecream from Blackburn & Haynes in Headley – definitely worth a visit. 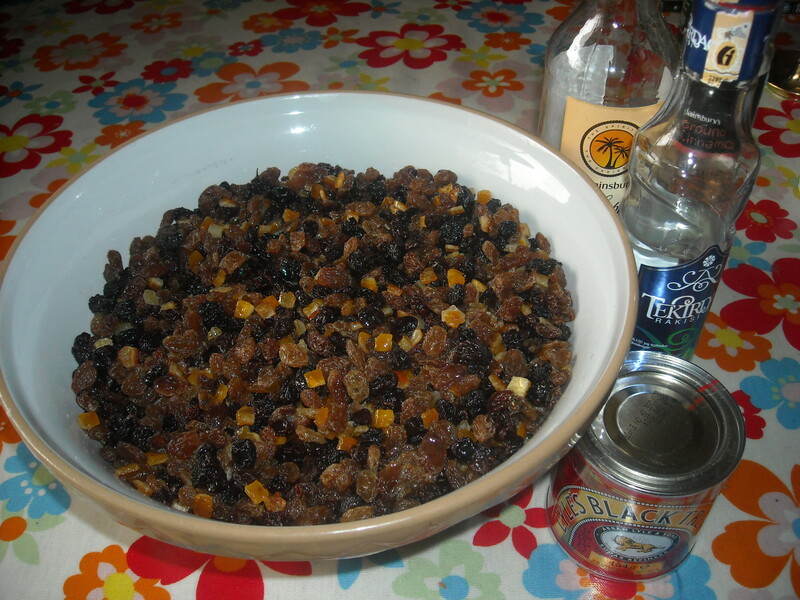 We are going to try the mincemeat ice cream in Jan if we have any mincemeat left! 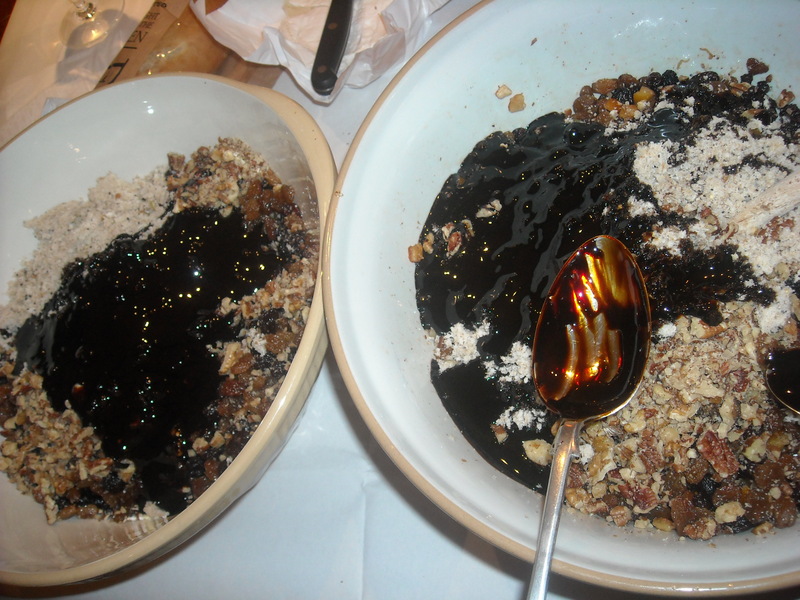 There’s a really ace sounding easy recipe from Nigel Slater which is just whip a carton of double cream, stir in a carton of good quality custard then stir in your mincemeat then freeze in a tub and stir every half hour or so to break up the crystals. Let us know how you get on if you do it before we do! Thank you for the advice – if all goes well I will have a Sunday bake day. Cheers! I love that you set the little cakes on fire! I bet it was heavenly! 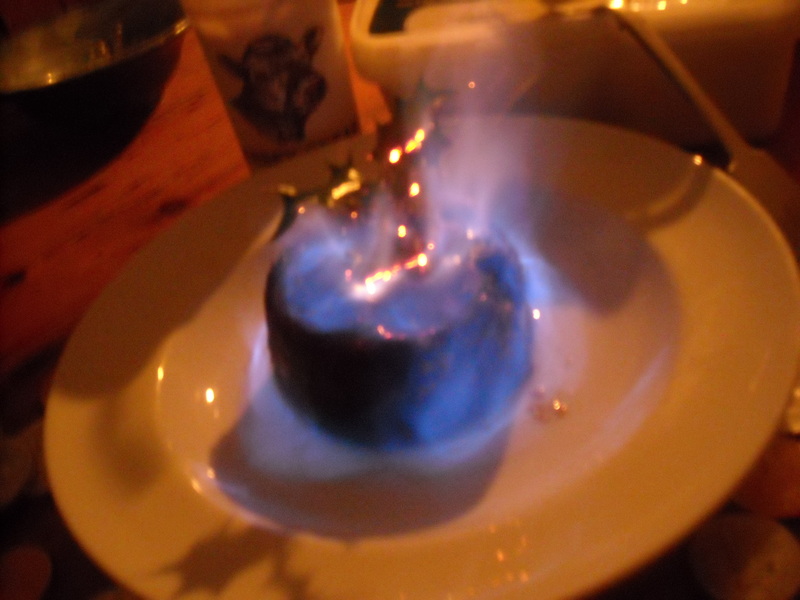 I made a Christmas pudding that we were going to set on fire. But then we did not. It was good with the rum just poured over it. But I would think the fire would caramelize it adding more flavor!